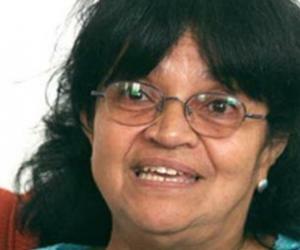 The choir director Digna Guerra received the status of Doctor Honoris Causa by the University of the Arts in Havana, for her "vast and prolific career", official media reported. The leader of the National Choir received the award in the institution, former Superior Institute of Art, whose cloister belongs to several years. The composer Guido Lopez-Gavilan highlighted the "vocation and delivery" War since its inception in the Amadeo Roldan Conservatory until today, "rigor that has guaranteed him the respect of all." "Their quality work allowed him to contribute to the formation of hundreds of singers, able to demonstrate any style," said Lopez-Gavilan. Guerra, president of the Cuban Association of Choirs, thanked family, friends and students, but especially the regime in Havana. "I want you to thank the Cuban revolution, for giving me the opportunity to study music and be who I am today," he said. Formed in academies of the former German Democratic Republic, Digna Guerra holds multiple laurels, including the National Music Prize. In recent decades, has publicly defended the violation of human rights in Cuba and signed letters of support for the regime in Havana.